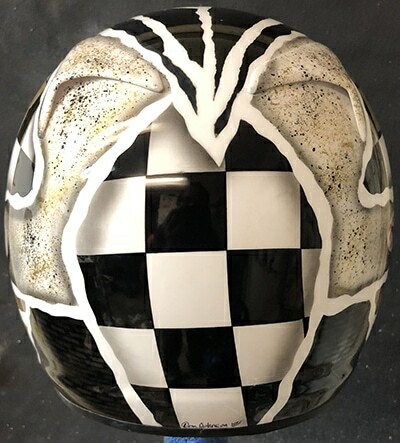 Arai helmet design7-1-9-18 is a bit different and was designed with the help of the 12-year-old girl who race’s karts here in south Florida. 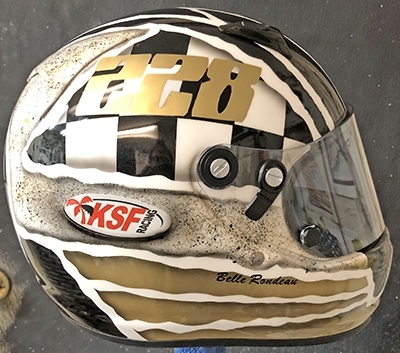 I saw a helmet I did for my son and loved it but wanted to change the colors to match her kart graphics. 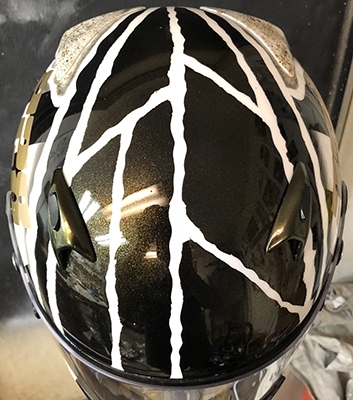 Black, white and gold were the colors she requested, with lots of gold I knew. 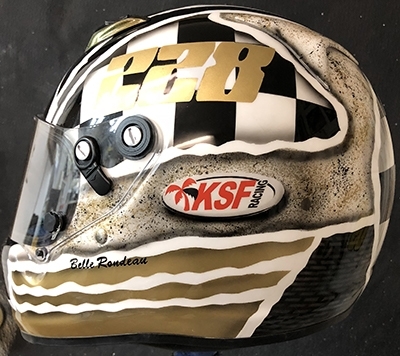 A checkered flag and KSF racing logo, the team she races with were to be included in the design the rest was left to me. When she got the helmet I could hear her screaming from here she was so happy. 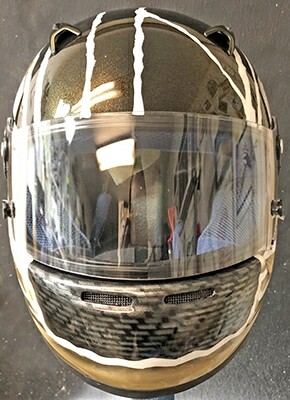 To get started on your race helmet call or text me 1-352-361-3403 now!